Highlighting the face has become something natural to me. I have always loved the look of a healthy glow to the skin or face. With a highlighting powder one can achieve this look very easily. Highlight is used on the cheekbones, bridge of the nose, cupid's bow, forehead and even a little on the chin. This is used to give light to the face like sun would naturally do. This Catrice Cosmetics Product does wonders. It's a shimmery Pink Powder give you that healthy glow you would easily want and it is not overly shimmery. It is part of their Prime and Fine Collection that has come out last year. Catrice is a Drugstore Product so you can easily find it at your local Pharmacy here in Malta or in other drugstores abroad. 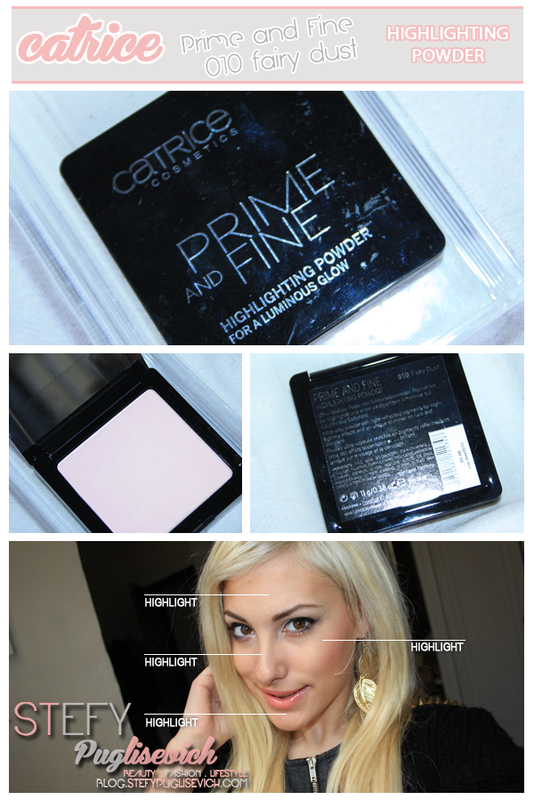 DO YOU USE A HIGHLIGHTING POWDER? like you, I'm a huge fan of using highlighters!